The North Atlantic right whale is one of the rarest species of whale on the planet, numbering only about 411. 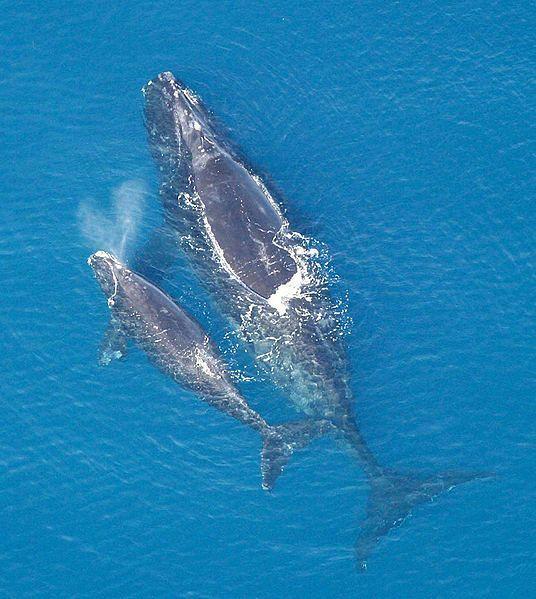 But the Center for Coastal Studies in Provincetown, Massachusetts, said Friday that its aerial survey team spotted two mom and calf pairs in Cape Cod Bay a day earlier. That brings the number seen in New England waters alone this year to three.